We all get excited whenever a friend or a family member buys his first property, be it an apartment or a house. We look forward to the house-warming party where we can freely give advice on how to transform the house into a home. These days, however, I notice that the topic of conversation has shifted quite a bit. The talk is more likely to centre on how much the property is worth, how much it will appreciate in six months, and where the next property hotspot is. You get the feeling that if someone at the party is willing to offer him a good price, this new owner will be more than happy to move out immediately. It is a reflection of the times, I suppose, when people have the means to either buy property to live in forever, or for short-term investment purposes. Whatever the purpose, we have the right to be concerned whenever a new project is proposed, especially if there are serious social, health and environmental concerns involved. It is not fair to always use the term Not in My Back Yard (NIMBY), or the derivative Nimbyism, pejoratively to describe opposition by residents to a proposal for a new development close to them. In planning projects for the common good, we should allow active debate on the pros and cons. But what if the main concern is more about the value of one's property being affected, as revealed in recent debates on the mass rail transit (MRT) project? My colleague, Thean Lee Cheng, wrote last week that the 50km MRT line will affect 91,900 properties along the way. Of these, 82,700 units, or 90%, will be residential units with a total population of about 341,000. About 40% of these are located in the Sg Buloh-Semantan area, and 46% in the Cheras-Kajang area. Granted there will be an impact on property prices, but where are the loudest voices of protest coming from? Many of us are blessed just to have a simple property that we can call home. We work hard to pay off the bank loan and probably another loan we take for our Malaysian-made car. If there is an efficient public transport system, we might even be able to get by without a car. For those who never take public transport, they might still appreciate having fewer cars on the road. When I first moved into my neighbourhood 25 years ago, there was plenty of open space where I would take my boys to play. Over time, I watched the space being gobbled out by a potpourri of projects, some of which I appreciated, but not all. I am thankful for the park, the police station, the public health clinic, the stadium, the many banks, the little Giant and the big Giant, the fast-food joints, and of course the LRT line. I am not too happy with the upcoming shopping complexes across the highway as I am quite sure it will create some havoc on the roads on my side. But, on balance, as with anything in life, one has to take the good with the bad. We may not be able control the circumstances of what goes on in our neighbourhood, but we certainly can control our attitude towards these changes. That, after all, is what life is all about. 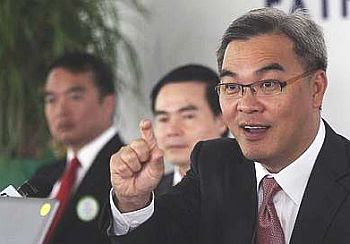 Deputy executive editor Soo Ewe Jin is reminded that NIMBY can also be used more generally to describe people who advocate some proposal (for example, austerity measures, a green lifestyle and a better transport system) but oppose implementing it in a way that would require sacrifice on their part. 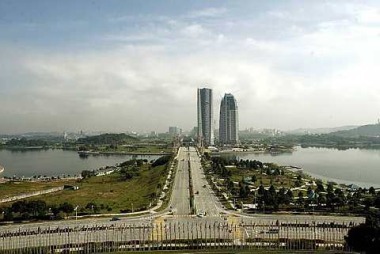 JOHOR BARU: Johor Corp will sell a parcel of land it owns in Johor as part payment for the RM3.6bil debt that is due in July 2012, says president and chief executive officer Kamaruzzaman Abu Kassim. He also said the land had a market value of more than RM2bil. 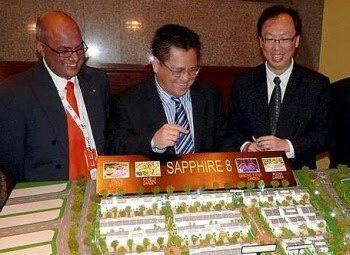 The land was located within parts of Johor Baru that were earmarked for development under the RM1.8bil Johor Baru city centre transformation plan, he told Starbiz after the recent EGM of Kulim (M) Bhd - the main listed company under the JCorp stable. It was reported that Johor will unveil the master plan for the Johor Baru city centre transformation project in the second quarter of this year. 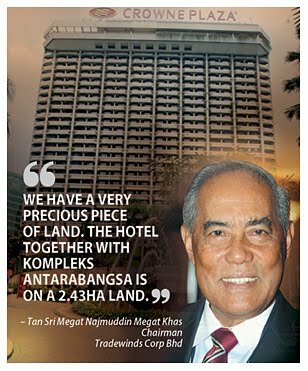 JCorp also owns 3,237.48ha land in Sungai Belungkor, Kota Tinggi. It plans to sell 404.68ha, which is close to the Pengerang oil and gas hub, to the state government. Petronas has been tasked by the Government to develop Penggerang and Teluk Ramunia into a new oil and gas hub in the region. 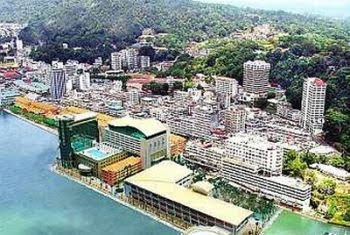 “We are hoping to get good prices for our land in the Johor Baru city area and in Sungai Belungkor,’’ he said. 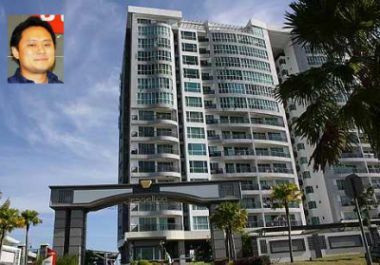 Sources said JCorp’s land in Johor Baru was located near the Bukit Chagar and Lumba Kuda low cost flats as well as the Persada Johor International Convention Centre. JCorp is also the land owner of the 1,698.87ha Tanjung Langsat industrial area in Pasir Gudang. JCorp’s unit Tanjung Langsat Port Sdn Bhd manages Johor’s third port the Tanjung Langsat Port which handles bulk cargo such as liquefied petroleum gas and hazardous chemicals. Kamaruzzaman’s statement about the sale of land indicated a change in strategy by JCorp. Late last year, Kamaruzzaman had said that JCorp would not be selling any of its assets to repay bondholders’ RM3.6bil when the papers are due on July 31, 2012. He had then said the plan was to refinance the debt. But sources familiar with the situation said Kamaruzzaman was referring to speculation that JCorp would be selling its other key assets, such as QSR Brands Bhd (that owns KFC Holdings (M) Bhd and London-listed New Britain Palm Oil Ltd.
“The proposed sale of JCorp’s land does fit into the strategy of refinancing its debt. In situations where the debt is huge, it only makes sense that the borrower shows some commitment by making some payments as part of the refinancing plan. The sale could help JCorp pay off a portion of the RM3.6bil debt and refinance the balance,” an investment banker said. Kamaruzzaman had explained that the RM3.6bil debt was due to some JCorp investment projects since 2000, mainly in landed and industrial properties. JCorp is one of the country’s largest state economic development authorities and it has 250 companies. According to JCorp’s 2009 annual report, it had RM705mil cash but RM6.62bil in debt. It had also paid RM500mil in interests and RM1.7bil in loan repayments. Despite being perceived as asset-rich, it only booked RM5mil in dividend receipts in the financial year 2009. Upgrades to the BSC in Bangsar are over as there’s no more space left. 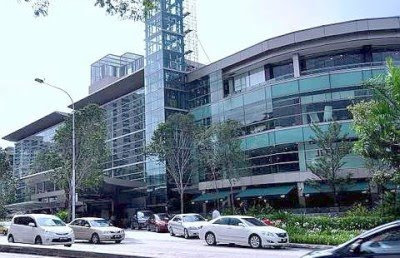 BANGSAR Shopping Centre (BSC), which was developed some 20 years ago by Bandar Raya Developments Bhd (BRDB), is still a successful and thriving mall today. This is despite having to face competition from malls such as Mid Valley Megamall, Bangsar Village I & II and Tropicana City Mall, which are all located within a radius of less than 5km. John Sironic likens BSC’s lasting power to how Madonna has remained relevant after all these years. BRDB group retail operations head John Sironic likens BSC's lasting power to how the Queen of Pop, Madonna, has remained relevant after all these years. “The key is never to stay still, like the Madonna Principle. The reason she has been able to be around for so long (in the music scene) is because she's constantly reinventing herself,” he tells StarBizWeek. “That's how we have been around for so long. We can't rest on our laurels. We need to keep reinventing ourselves and be up-to-date with the latest trends,” Sironic adds. According to Sironic, BSC started off about two decades ago with just a single (East) wing. “About 10 or 12 years ago, we added a new (West) wing,” he says. “The mall had been around for so long and it was starting to look a little old. So, we redressed the mall both internally and externally,” Sironic says. Upgrades, which included a new annex and a 12-storey office block at the back of the mall, took over a year to complete. “We completed the construction in July of 2009. The job could have been done a lot faster but to do that, we would have needed to close down the mall. “But we did not do that because we did not want to cause inconvenience to our shoppers,” Sironic says. The refurbishment of BSC saw the mall increase its floor space to 325 sq ft from 262 sq ft previously. The number of shops also increased to 170 from 126 before. Sironic also says the addition of new stores was timely as people had become more affluent over the years and had better spending power. Sironic says that during the upgrading process, BRDB also took the opportunity to “reshuffle” its tenant mix a little for the better. The need for reinvention is necessary, especially as needs to compete with malls such as Bangsar Village I & II, which are arguably its closest competitors. Bangsar Village I “opened its doors” in 2004. Sironic admits that BSC did experience a slight drop in shoppers when the new mall started. 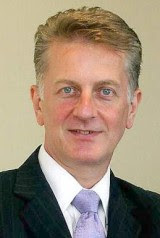 Sironic argues that BSC is different from its nearest competitors. “BSC has a large F&B (food & beverage) offering. The layout of our mall is also different. We have an open front and it is not shaped like a box. Despite conducting the renovations in the thick of the global financial crisis, Sironic says BSC did not see any real drop in shoppers. BSC's shoppers generally comprise a more affluent crowd especially expatriates. Sironic says BSC has always positioned itself as a lifestyle, boutique mall that has niche tenants offering niche products. 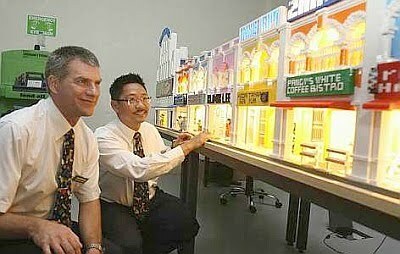 “We are not intentionally expensive (in terms of product offering). We have small boutique retailers that don't necessarily attract a mass crowd. Despite having niche tenants within its premises, Sironic says BRDB is open to any kind of tenant that is interested in setting up shop at BSC. One of BSC's key anchor tenants is Cold Storage supermarket, which is a popular attraction for shoppers. Sironic says it is a misconception that prices of goods and products at BSC's Cold Storage outlet are overpriced. Many successful malls today have a cineplex as part of their tenant mix. Some time back, BSC had a couple of cinemas but no longer. Sironic says there are no plans to have a movie theatre at BSC. According to Sironic, the average rental rate at BSC ranges from as low as RM3 per sq ft to RM50 per sq ft.
“It's a wide range and depends on location and usage,” says Sironic. 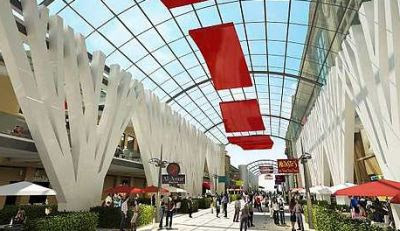 According to him, about 32% of the mall's floor space comprises F&B tenants, which is unusually high for a typical mall. BRDB is also planning to open up a 10,000 sq-ft food court in BSC by mid-year. It also plans to offer free shuttle services from the Bangsar LRT to the mall by next month. “Once the food court opens and together with the new shuttle service, we expect to attract more customers into the mall, Sironic says. Sironic says BSC organises three types of promotional events to attract shoppers. First, it hosts activities that are done by external parties. Case in point is local Peugeot distributor Nasim Sdn Bhd which launched its 308 cc Cabriolet convertible at BSC last month. Sironic says Christmas is often its peak period in terms of sales, followed by the Chinese New Year festive season. “Christmas is also a big period because it's the year-end and a time when people get their bonuses,” he says. BRDB's Grade-A office block, BRDB Tower, meanwhile, currently has a 50% take-up rate. Sironic says BRDB intends to fully lease the 12-storey block by the third quarter of this year. “Our tenants include banks RHB and Al-Rajhi. There's also a gym and a neurological specialist coming, he says, adding that BRDB is offering “Grade-A” office rates to its tenants. Sironic says BRDB targets tenants that can also take advantage of the mall's services and facilities. However, setting up a new BSC in another location is definitely a possibility, he adds. KUALA LUMPUR: The Mass Rapid Transit (MRT) project is expect to spark more joint ventures and mergers and acquisitions (M&As) by property developers to secure strategic land banks near rail lines, says HwangDBS Vickers Research associate director Yee Mei Hui. Yee said on Friday, Feb 18 companies without land bank near proposed MRT stations were likely to start hunting for land plots to benefit from expected gains from having property projects near the massive public transport infrastructure. "For those without land bank, they'll need to act quite fast,” she said at a press briefing on property plays related to the MRT project. Yee, who covers the property and gaming sectors, also said three mixed developments near MRT stops would set the tone for future property plays along the MRT system. The three projects are KL Eco-City near the Mid Valley area, Capers in Sentul East and Damansara City in Damansara Heights. PETALING JAYA: While some property consultants and analysts have been bullish on the overall impact of the mass rapid transit (MRT) on property prices, another group of property consultants has reservations about the blanket “price hike” touted by their counterparts and other parties. This second group of property consultants, together with sources familiar with the project, have an alternative view. Their conclusion is: not all properties affected by the Sg Buloh-Kajang line will have a positive impact. In fact, there will be properties that will have an adverse impact. The 50km line that begins from Sg Buloh will splice through the monorail and light rail transit (LRT) in the city and head south towards Kajang, affecting a total 91,900 properties along the way. Of these, 82,700 units, or 90%, will be residential units with a total population of about 341,000. About 40% of these are located in the Sg Buloh-Semantan area, and 46% in the Cheras-Kajang area. It will be the country's largest infrastructure project, reportedly costing RM36.6bil. A source said: “Logically speaking, people should not oppose the MRT or any form of public transport. But, if it is going to affect your standard of living, either by the noise, vibration or visual impact, then it is logical for them to oppose it. The noise level will be tremendous. The MRT begins from 6am to midnight. In time to come, the MRT will run every 1.8 minutes. The affected areas are Section 4 and 6 of Kota Damansara; Pelangi Damansara condominium; Taman Tun Dr Ismail; Damansara Utama; Section 17/52 Petaling Jaya; Bukit Bandaraya; Jalan Bukit Ledang; Bukit Damansara; Taman Desa Aman; Taman Connaught; and Taman Koperasi. According to the executive summary posted on the Department of Environment website, as the line enters Kota Damansara, which is predominantly residential and remains so until TTDI, the line visual, vibration and noise level will be significant to properties in that area. And as the line enters the residential area of Cheras, the visual impact, noise and vibration level will also impact negatively on the property values there. “Most of the measured noise levels exceeded the recommended limit for suburban residential area and urban residential area,” the executive summary said. Reports that property prices would go up by between 100% and 500% were “too bullish”, said the group of property consultants. 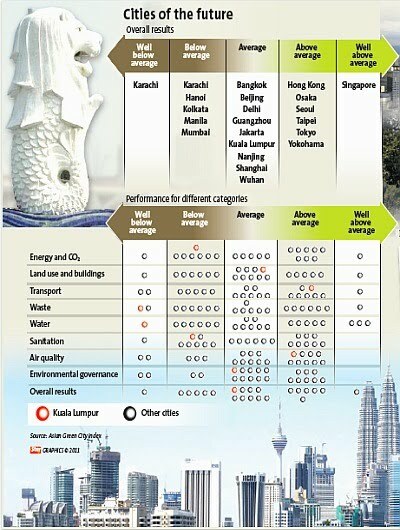 A property developer who has several projects in Kota Damansara said the visual impact, noise and vibration would affect values negatively. Last week, the Land Public Transport Commission (LPTC) and Prasarana exhibited the alignment at Mid-Valley Megamall. They are seeking a location in Petaling Jaya to exhibit the alignment. The MRT route will be displayed for three months at local authority offices in the Klang Valley, in Bangsar LRT station and at LPTC in KL Sentral. The environmental impact assessment will be displayed for one month from Feb 14 to March 14.